Just Jingle: Make it Girly! Hello, friends! We have another fun Simon Says Stamp Wednesday Challenge for you up over on the Simon Says Stamp Wednesday Challenge blog today! We are making it GIRLY this week! The Design Team is featuring Hero Arts goodies today. Hero Arts feels like a staple to me. They have great designs and all of the supporting products you need, as well! 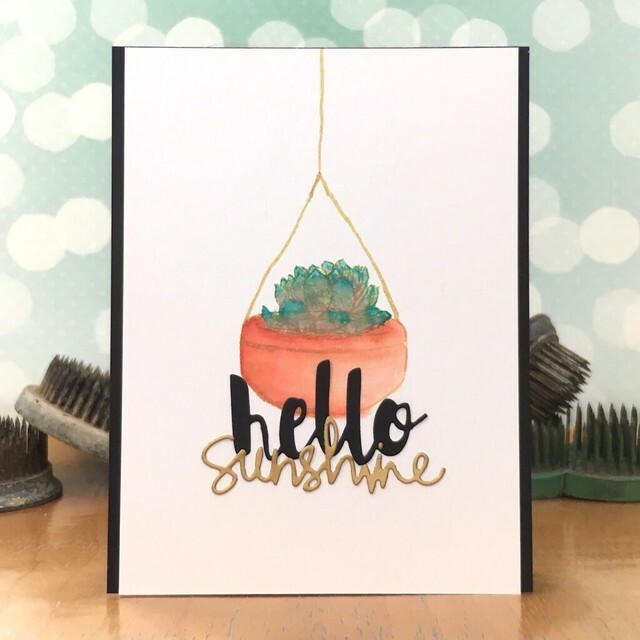 I decided to play with the fun Stamp Your Own Succulents set for my card. 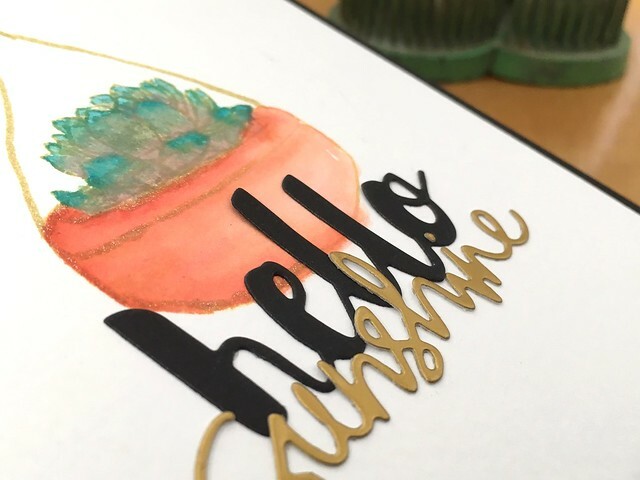 I used watercolors (distress inks) with some gold for added sparkle. A couple of Simon Says Stamp dies combined for the perfect sentiment! I love how the Spectrum Noir glitter brush pens add SO much sparkle! LOVE THEM! Now it's YOUR turn! Create something fabulous and GIRLY and link it up over on the Simon Says Stamp Wednesday Challenge blog for your chance to win a $50 Gift Certificate to the Simon Says Stamp Store! WOOT! A gorgeous card Jennifer, a lovely design with a beautiful image and super sentiment!! I really like the sentiment dies together, Jennifer, and of course your hanging planter! Wow! This is so gorgeous!!!! I love the way you added the sentiment. Love the flower pot surrounded by all the wonderful white space!